Tournament time is here, and as great as the tournament is for college basketball fans, the only thing missing is a great way to share the experience with kids and non-basketball fans. Everyone wants to be involved in the excitement, but for most kids and many adults, they do not particularly care about a team’s strength of schedule, potential paths to the finals, or the intricacies of player matchups. Most people don’t even care about the bracket, they just want to guess winners! 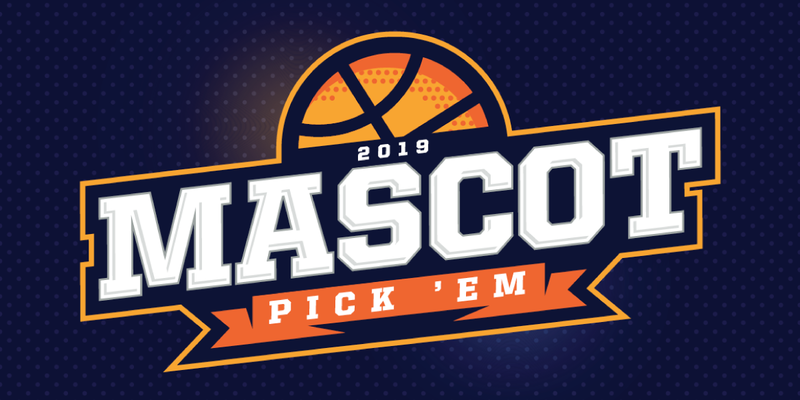 Our goal was to put together a family-friendly Mascot Pick ‘Em that anyone can have fun with. If your prognosticators are too young to read, this can be a great activity to work alongside them. Use the time to talk about the different mascots and team colors. We guarantee some awesome debates about whether Blue Devil or a Red Devil would win, or whether a Bear could topple a Wildcat, and what would happen between an Anteater and Billiken. Find the current round below and click the link to download the updated tournament matchups. Print off the matchup document for as many people as would like to participate. For each match-up, select one winner. Some might draw X’s over the loser, some might draw circles around their winner, and some might just want to color the mascot. Whatever you choose, is fine with us. After each round, we will create a new matchup sheet to download. If you want to keep score each round, go for it. If you aren’t keeping score, no problem — this is about having fun around tournament time! Each round will have a new downloadable document, so everyone has a chance to pick winners. 1. Pick one winner per game. 2. Follow the tournament to see who wins each game. 3. Download the next match up after each round. 4. Have fun debating outrageous matchups as if they were real battles! 5. Share your winning picks on social media and be sure to tag Team Fitz Graphics — your pictures, videos, and stories could be featured on our social media channels! 6. And always, be sure to send us feedback! We want a great experience for the whole family. Team Fitz Graphics is a sign and graphics company based in Cincinnati, Ohio, but we work with schools and athletic programs across the country. In addition to being big sports fans, our day job is producing custom signage, wall graphics, banners, media backdrops, record boards, custom dry erase boards, and other custom graphics. If you have an idea or an opportunity for better signage and graphics at your facilities, reach out to our team to get a free proof and quote. We hope you have fun with this activity, and we hope to have an opportunity to earn your business!